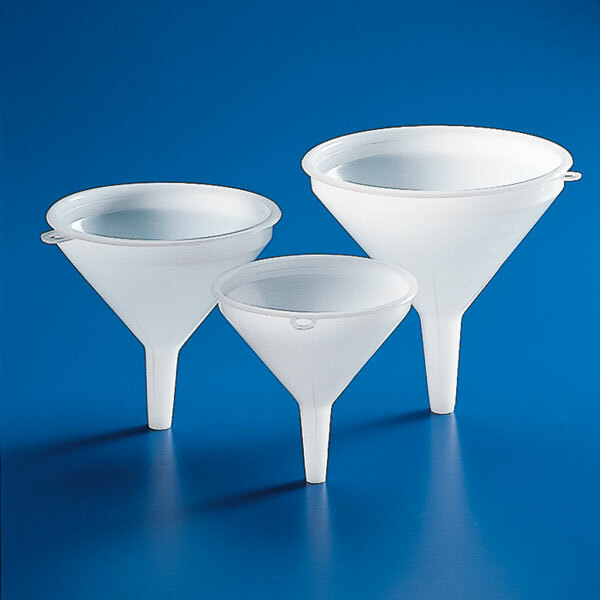 These tough, high density polyethylene (HDPE) general purpose funnels are suitable for use with a wide range of liquids. External ribbing is molded into the funnels to prevent air lock. The funnels feature straight sided upper rims to help prevent overflow. These superior quality funnels are produced in 9 different sizes.